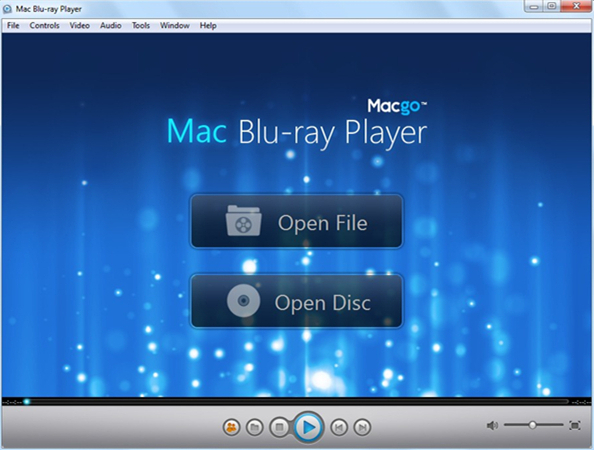 Macgo Windows Blu-ray Player is a superior Blu-ray media player software for Windows-based computers. OverviewMacgo Windows Blu-ray Player can satisfy just about every need you could possibly have in a Blu-ray Player. It can play Blu-ray Disc, Blu-ray ISO file, and Blu-ray (BDMV) folders on Windows operating systems, including Windows 10. Besides Blu-ray media formats, it can also support DVD playback and any videos or audios like MP4, MOV and RMVB, etc. on Windows without converting formats. Macgo Windows Blu-ray Player is really easy to operate. You can control almost everything on the main interface with your mouse. More settings can be done by right-click on the interface while playing. Key Functions: 1. Easily play Blu-ray Disc, Blu-ray ISO file, Blu-ray (BDMV) folders. 2. Support Windows systems perfectly, including Windows 10 Technical Preview, Windows 8.1, Windows 8, Windows 7, Windows XP and Windows Vista. 3. Output 4K/1080p HD video without loss of data and frame. 4. Perfectly support DVD and any other media formats that you want to play, like VideoCD, RMVB, MOV, MKV, MPEG, AVI, FLV, WMV, MP4, ASF, MP3, WMA, AAC, AC3, 3GP. 5. Feature a friendly user interface, ultrafast loading speed and super high Blu-ray quality. 6. Allow full preservation of all audio tracks (like DTS 5.1, Dolby TrueHD Audio). 7. support DVD menu, which makes it really convenient to play movies and choose settings. 8. play Blu-ray on iOS devices.What is New in version 2.15.5? 1. Fixed the unsmooth Blu-ray playback problem. 2. Fixed the external subtitle failed to load problem. 1. Fixed the unsmooth Blu-ray playback problem.2. Fixed the external subtitle failed to load problem.